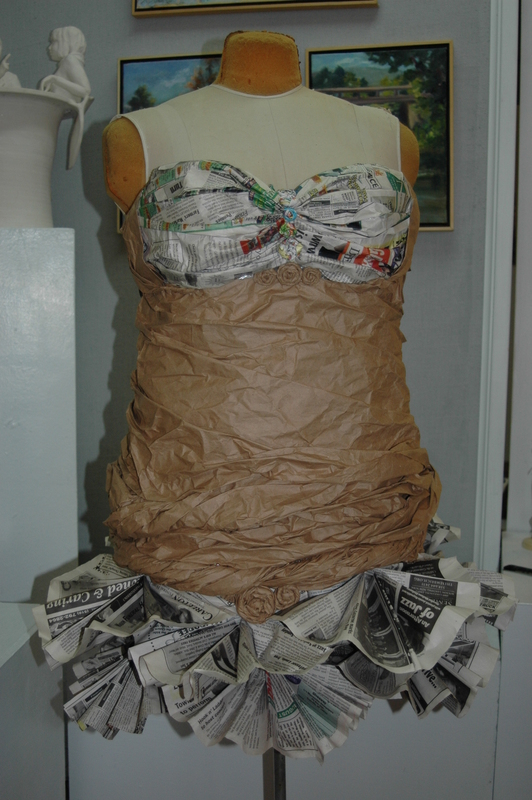 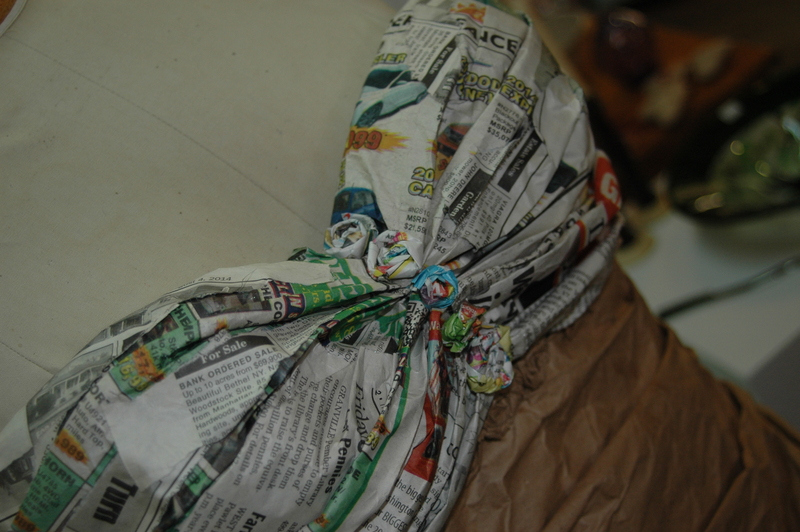 Here are the pics of the recycled paper dress from before. 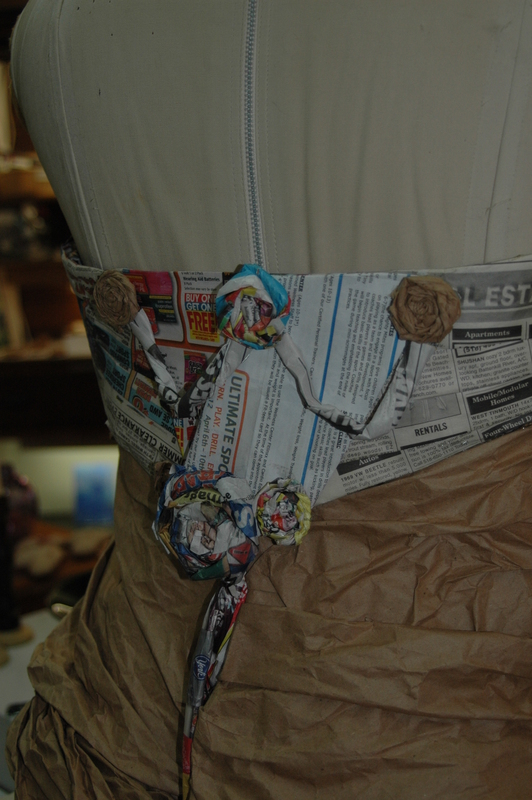 I fixed a few things that ripped and added some details. 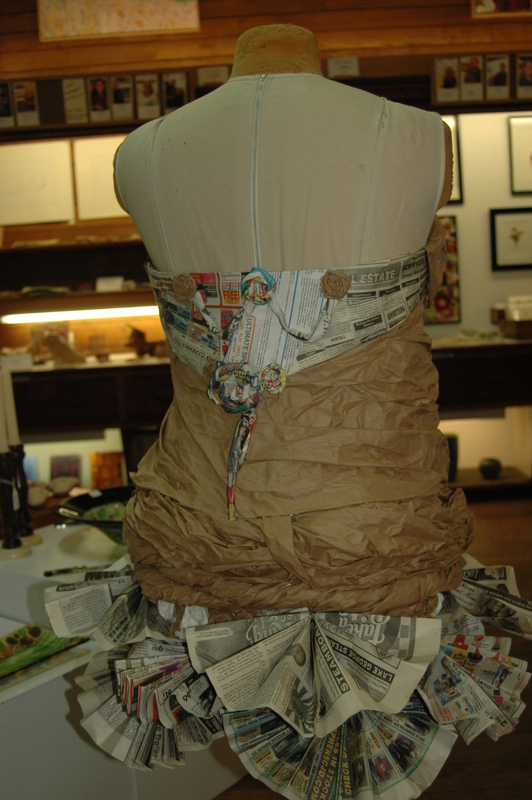 This dress is now showing in Cambridge, NY at the Valley Artisans Market until the end of April.